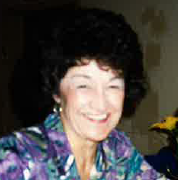 Carmela Zaccagnino, 83, of Wethersfield, CT, died Sunday, August 12, 2108, at Hartford Hospital. Carmela was born in Torrington, CT on October 17, 1934, daughter of the late Paul and Mae (Clapps) Zaccagnino. As a hairdresser for many years, she loved making others feel beautiful and had many prominent clients. She is survived by her goddaughter, Patti Santucci, numerous loving cousins and many devoted friends. A Mass of Christian Burial will be celebrated on Saturday, August 18, 2018, at 10:30 a.m. at St. Peter Church, 107 East Main St., Torrington. Burial will follow at St. Francis New Cemetery. There are no calling hours. Cook Funeral Home has been entrusted with the funeral arrangements.